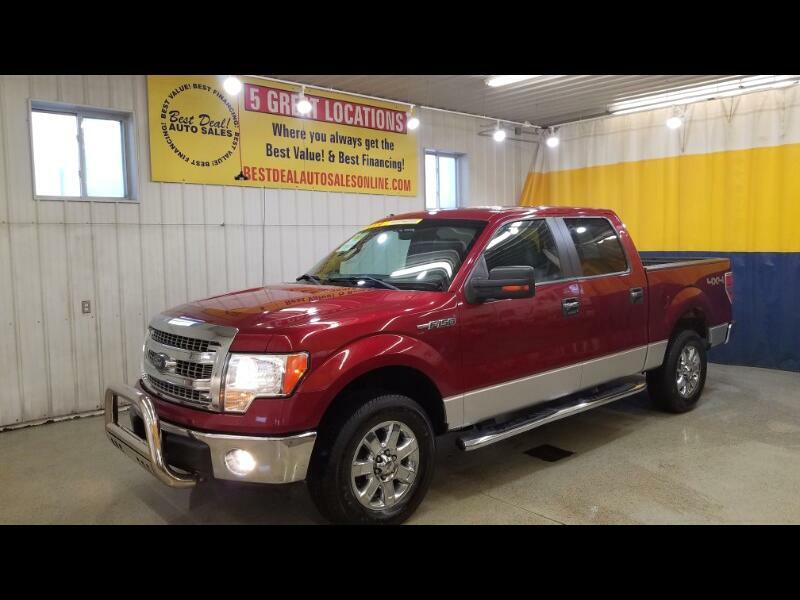 **VERY CLEAN** 2013 Ford F-150 XLT Super Crew Cab! 4 Door! 4x4! Powered By A 5.0L V8! New Front And Rear Brake Pads And Rotors! 4 NEW TIRES! Cloth Interior! Power Door Locks! Power Mirrors! Power Windows! Power Driver Seat! Steering Wheel Mounted Cruise And Audio Controls! Rear View Camera! Cd Player! Powered By Microsoft SYNC! Bluetooth! Auxiliary Inputs! Tow/Haul Package! Trailer Brake! Bed Liner! Running Boards! Stop by or give us a call today! 574-269-4499. Family owned and operated since 1999 and still going strong!